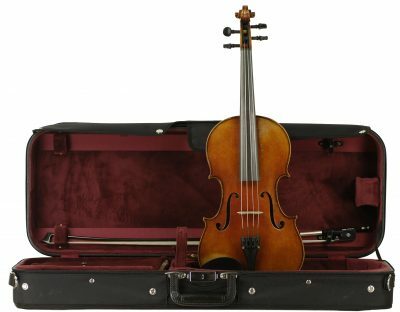 This is an older non-labelled German violin with all traditional ebony fittings, German Wittner tail-piece which includes all four fine tuners built in. 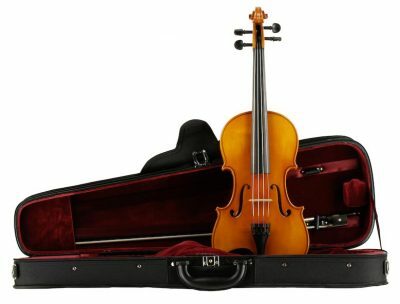 The construction in the arching gives the violin some tonal power. 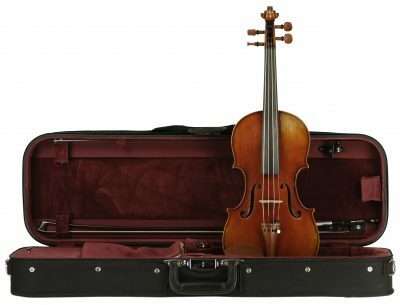 The carving on this German is well done, deserving of at least a luthier’s shop label. The instrument has a two-piece maple back plate with a moderate amount of flame, matching ribs, neck and scroll. The varnish is an amber brown, on a golden ground. There is a hint of orange in the ground too. The patina is evident, adds to the charm. 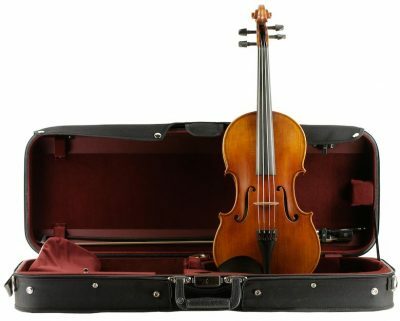 The instrument was played and taken care of. 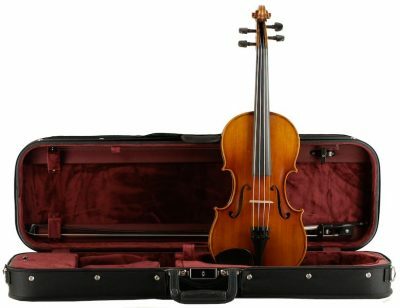 The violin has slightly covered tonal sound, pleasant, not as bright as a new commercially made trade instrument of today. 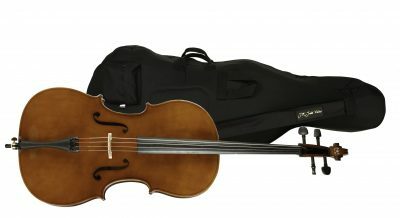 It is perfect for the intermediate player looking to get into a European instrument.